KHOTANG, April 28: The announcement of local elections in two phases has not just cast doubts about the election but is likely to increase the expenses of the government as well as candidates of various political parties. Lila Bahadur Niraula of Lamidanda Rural Municipality, Khotang had won the ticket for the polls from CPN-UML to fight for the post of municipal chief. Since a few months, Niraula has been actively involved in making door-to-door visit to woo the local voters for the election which was slated for May 14. But, as per the announcement of the government, the elections will be conducted on June 14 in provinces 1, 2, 5 and 7. This has greatly disappointed Niraula as he had already invested a lot of money and he will have to spend additional amount if the elections will be conducted as per the new schedule. Prospective candidates have been spending a lot of money for meals, accommodation, promotional tools and equipment of the team involved in the promotional campaign. But now they will have to continue with their promotional events for longer period, which means they will have to bear extra financial burden. As informed by the prospective candidates, they have been spending Rs10, 000 on a daily basis for their promotional campaign including door-to-door visit. Some of the candidates are worried that they will be debt-ridden by the end of the election. 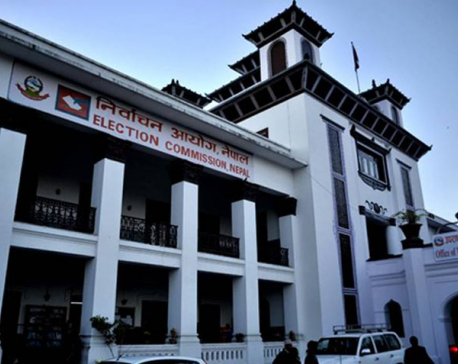 Some political parties have not yet fixed the candidates for the major posts while some have already fielded their candidates. Postponement of the date is a major concern for those who have already been picked by the parties. “It's an election and it won't be possible for the candidates alone to conduct promotional campaigns. We need political backing as we alone cannot take all of the financial responsibility,” said Rai.